As a clinic owner it’s essential that you be a leader, always a step ahead out-thinking the competition. I want to help you do that. At Clinic Supplies Canada, we do much more than just sell products. I pride myself on offering cutting edge strategies and advice to help great founders build great health businesses. You see, I’m also a one-on-one business coach who helps clinic owners build better, more automated businesses. As a business coach I always get asked what blogs I read or where I go to learn more about marketing and business. So I thought I’d put together a monthly roundup of some of the best stuff I’ve been reading - stuff that you can go ahead and implement, too. If there is a topic you’re struggling with and want to hear more about, just leave your comments on any of my blogs or reply via email. I always love hearing from CSC readers and subscribers and I’ll include your topics in the next roundup. Even if it's a teeny tiny struggle...I want to hear about it - so don’t be shy. The topics I share in these roundups will vary and include killer marketing tips, leadership strategies, how to automate your culture, personal growth, etc. Really, anything that can help you build a more successful health business. Ready to dig in and learn some awesome stuff? Let’s go. 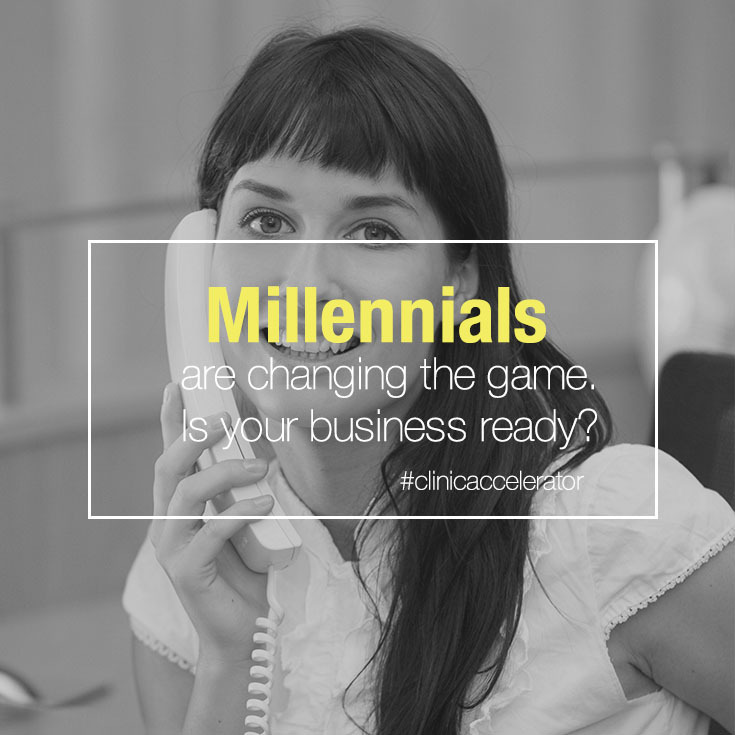 #1: Millennials Are Changing the Game. Is your clinic ready? It’s hard enough finding the right people to work in your clinic; then you spend hours and dollars training them up, only to have your key staff leave so you have to start all over again. It’s a huge investment of resources that no clinic owner wants to face again and again. This article provides great tips on staff retention. How to prevent your key staff from leaving and how to get them to want to stay - especially the millennials (18-35 year olds) - an age group that can be the greatest asset to any clinic owner if only you can keep them happy. Let Peter Diamandis show your how. Can’t seem to get staff commitment and streamline clinical operations? Building culture could be the solution! Building a successful clinic and recruiting the best team all starts with creating the right core culture. 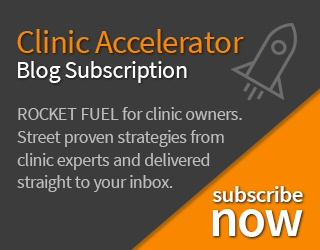 It’s an underestimated and frequently overlooked step that has helped companies like Zappos and Hubspot reach massively successful heights - and it can help clinic owners, too. Whether you like it or not, you're going to have a culture. Learning how to create one that everybody loves is better than leaving it to chances. Learn Hubspot’s insider secrets to creating awesome culture. Still not getting enough patients and looking for new ways to grab their attention? Look no further. Have you noticed a rapidly rising trend of smartphones stuck to fingers and faces? No doubt you’re even treating sore necks and upper backs as a result of using them so much! The reality is, people are checking Facebook and searching Google when they need something - and even if they don’t need something, they are spending a lot of time online. That’s just the world we now live in. Your potential patients are all hanging out online and it’s up to you to funnel them from other websites (such as Facebook) to your own. It’s actually much easier than you think and is one of the best marketing strategies for local businesses. Learn a step-by-step approach to creating a profitable facebook campaign. I just pointed out that the two most frequented sites are Facebook and Google. When someone has a sore back or injury, they don’t turn to the yellow pages or print publications, they turn to Google - so where does your clinic fit into the picture? Are you leveraging the power of Google advertising to ensure a steady stream of patients through your door? It’s amazing how defined you can get with targeting your market and how smart this advertising platform really is. Let KISSMetrics show you how to get started with Google AdWords. We all understand the power and force behind big brands like Coca Cola and Nike. But how do we, as clinic owners, build a brand from scratch? In this article Neil talks about different elements of building a personal brand - one that works for any size business. Personal branding is incredibly effective and surprisingly easy to do. You just have to start actually doing them. Read this and start building your personal brand today. Go and dive into some of that great stuff and be sure to come back and leave your comments and thoughts.